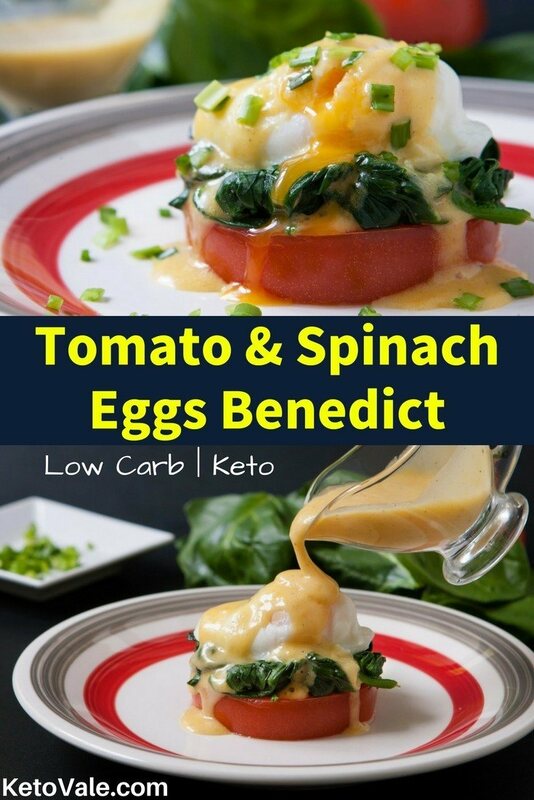 Tomato and spinach eggs benedict is a perfect and very tasty weekend brunch which is quick and easy to prepare, high in micronutrients and low in carbs. 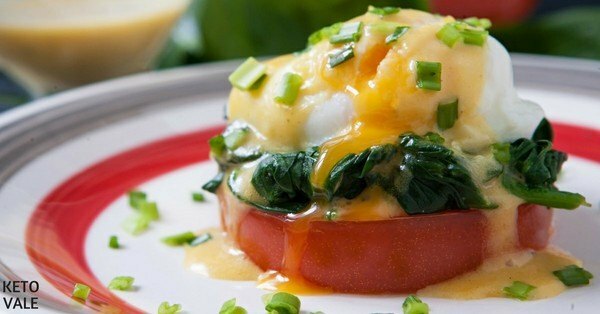 Sweet tomato with buttered spinach, tender poached egg and delicious Hollandaise sauce make distinctive combination of flavor. 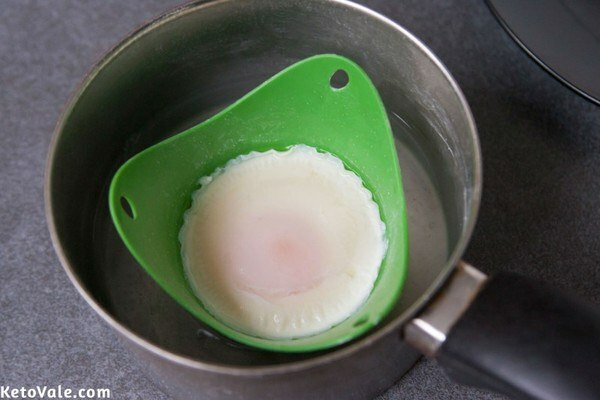 To prepare the poached egg, we use a poachpod which makes it extremely easy to prepare egg this way. Prepare a medium frying pan and melt a teaspoon of butter on it. 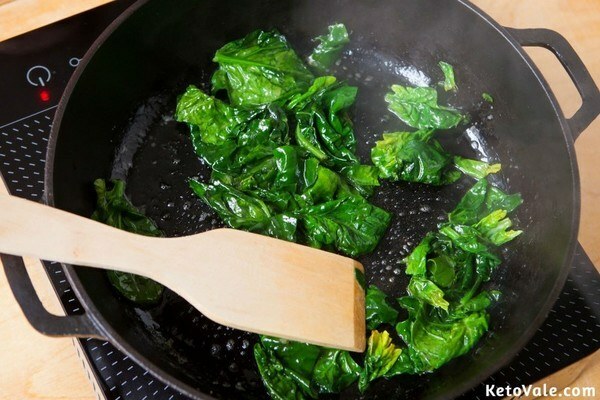 Put in the spinach and cook until the leaves are wilted, stirring occasionally. Season with a dash of salt and pepper. Cover with the lid and reserve for later. Boil water in a small bowl. Crack the egg into a poachpod and place over the boiling water. Wait until the egg is set. Melt 2 tablespoons of butter and place in a small bowl. Set aside. Prepare a large heat-safe bowl to whisk the egg yolk in. Add the mustard, lemon juice, and a pinch of salt to taste. 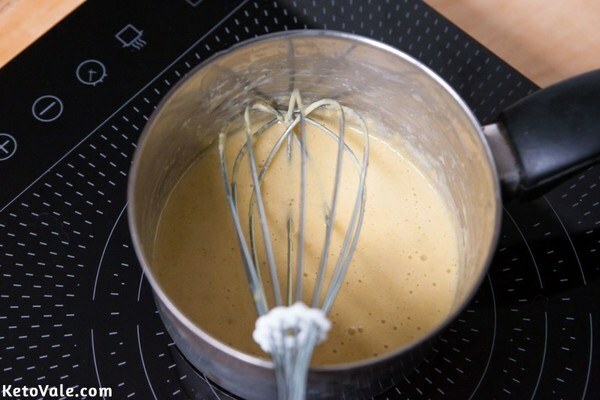 Set the bowl over very low heat and continue whisking. Wait for the mixture to thicken before gently pouring the melted butter. Continue whisking the mixture. Remove the sauce once it thickens entirely and set aside. Prepare a serving plate with a sliced tomato on top. 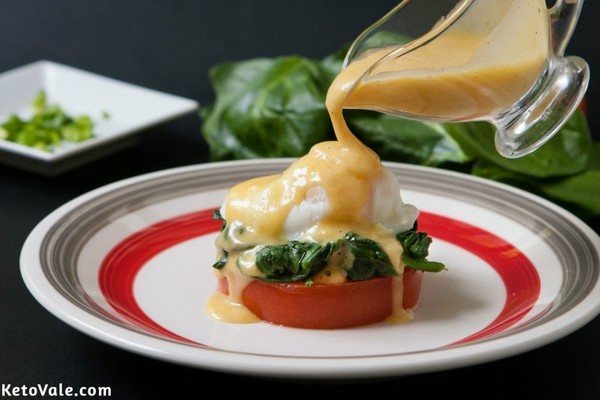 Arrange the spinach on the slice, top with the poached egg, and finally pour the hollandaise. Scatter chopped chives on top then serve.